The attempt to take the clutter out of over-the-air recordings hasn't gone as planned. Nuvyyo, the company behind the Tablo broadcast DVR box, has shelved its plans for a version with a built-in antenna. Instead of making users hook up a separate antenna to record free over-the-air channels, the Tablo Metro had its own omnidirectional antenna inside. Users would then plug Tablo into their Wi-Fi router and connect an external drive, allowing them to stream live and recorded TV to phones, tablets, computers, and set-top boxes around the house. The Tablo Metro was originally supposed to launch in March. But after delaying the product several times over the last year, Nuvyyo is axing its current design and cancelling pre-orders. Nuvyyo says it will take another stab at the concept over the next year. 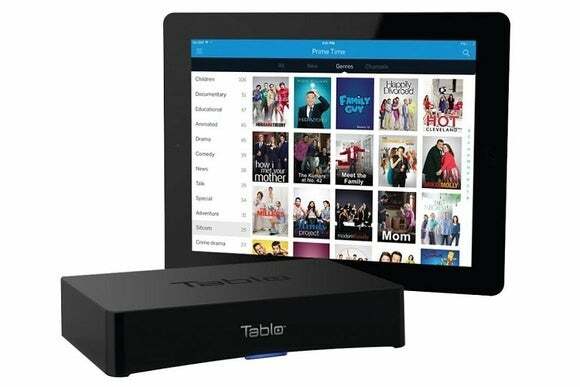 In the meantime, the company will still offer its existing $220 Tablo 2-tuner DVR. This requires an external antenna, but is otherwise identical to what the Metro would have been. Why this matters: Similar to TiVo’s Roamio OTA, Channel Master’s DVR+, SiliconDust’s HDHomeRun, and Microsoft’s Xbox One, Tablo is trying to modernize the experience of watching free broadcast channels. Integrating the antenna was a novel approach, potentially reducing the clutter of products that users must set up around their router or television. Hopefully Nuvyyo can come up with something better by going back the drawing board.